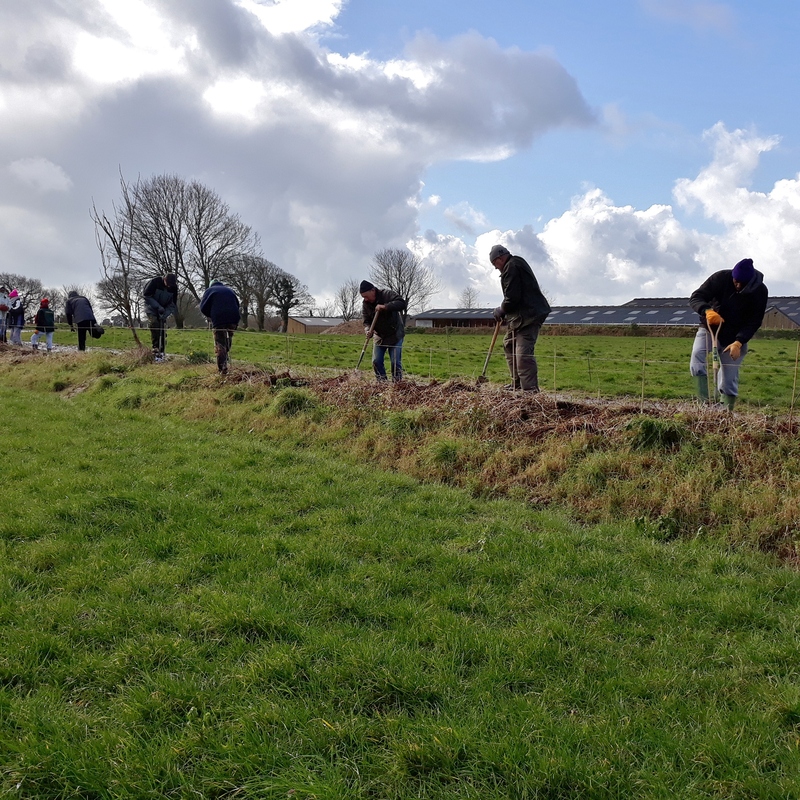 Task As part of the Jersey Trees for Life ongoing hedgerow campaign, native trees and hedging whips will be planted around fields in St Brelade. The purpose of this planting is to continue linking and enlarging the areas previously planted. The campaign project itself is to enable the establishment of wildlife corridors across the Island primarily for the benefit of squirrels, bats, hedgehogs and our native bird species, as well as the re-instigating of former hedgerows lost due to farming and natural causes. Jersey Trees for Life view this particular area of their work as fundamental in their core aims. If you have any questions, or if you wish to be added to the Jersey Conservation Volunteers email list, please contact either Julia Clively (tel: 441600; j.clively@gov.je) or Jon Parkes (tel: 483193; jon.parkes@nationaltrust.je). Parking Parking will be tight, so if you can share a lift it would be ideal. There may be parking spaces at the site or along the road. Meet at 10.20 promptly for a 10.30 start. We will be finished work by 12.30 for well-earned refreshments. Tools needed Please bring a spade if you have one, (please note that trowels, shovels and forks will not be suitable for this task!) Jersey Trees for Life can provide a limited number of spades and other tools. Clothing needed Please check the weather for the day and bring suitable clothing, wet weather gear and wellies may be necessary but fingers crossed for some February sun! We can supply a pair of gardening gloves if you don’t have them, but you may have a favourite pair you’d like to bring. Children All are welcome, young or old although we do ask that volunteers under 16 years of age are accompanied by an adult. Refreshments After all the trees have been planted, Kim will reward you with a hot drink and a slice of homemade cake. This entry was posted in Blog, Events by Glyn Young. Bookmark the permalink.